Rob: What the topic for today Kev? Dr. Kevin: I wanted to talk about dementia and Alzheimer’s disease and what we can do to prevent and to some extent treat these diseases. Rob: What’s the difference between the two? Dr. Kevin: Dementia is an umbrella term for a set of symptoms including impaired thinking, personality changes, impaired reasoning and defective memory. 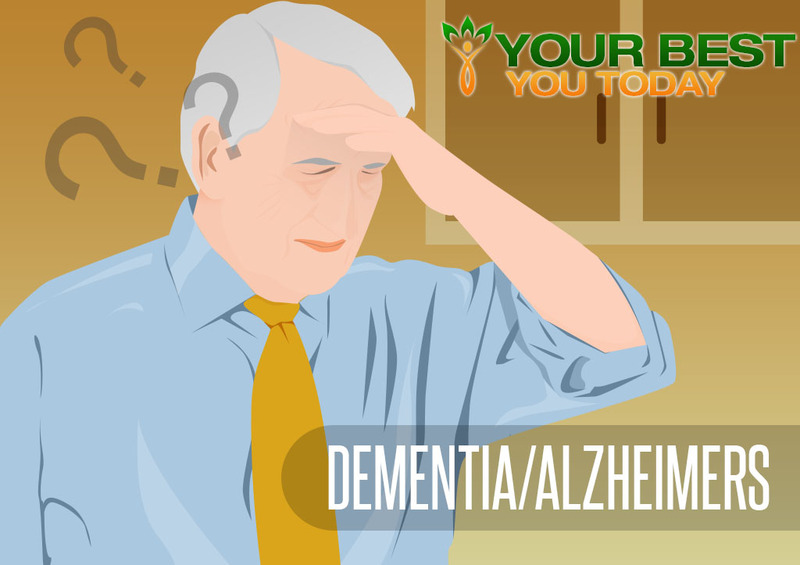 It is a term that is often associated with the cognitive decline of aging. Common causes of dementia are Alzheimer’s disease, Huntington’s disease, Parkinson’s Disease, Creutzfeldt-Jakob disease and vascular problems in the brain. Alzheimer’s disease is a severe form of dementia that currently affects an estimated 5.8 million North Americans. Approximately 8.5 million new cases of dementia are identified every year in NA. One in nine seniors over the age of 65 has Alzheimer’s, and the disease is now thought to be the third leading cause of death in North America accounting for over 550,000 deaths annually, right behind heart disease and cancer. About 2/3 of all Alzheimer’s patients are women. Rob: Do we know what happens to a person’s brain that has this disease? Dr. Kevin: Two abnormal structures called plaques and tangles are prime suspects in damaging and killing the nerve cells of the brain. Plaques are deposits of a protein fragment called beta-amyloid that build-up in the spaces between nerve cells. Tangles are twisted fibers of another protein called tau that builds up inside cells. Though most people develop some plaques and tangles as they age, those with Alzheimer’s tend to develop far more. They also tend to develop them in a predictable pattern, beginning in areas important for memory before spreading to other regions. Rob: So what can be done by those of us who don’t have dementia to keep it that way? Dr. Kevin: Well Rob there is a lot of evidence out there to show that lifestyle is a big player in this disease process. Recent research indicates that tobacco use may play a significant role in Alzheimer’s disease. In 2014, the World Health Organization (WHO) published a report entitled “Tobacco Use & Dementia,” based on a comprehensive scientific review of tobacco use, exposure to secondhand smoke, and incidence rates for all types of dementia, including Alzheimer’s. A growing body of research suggests there’s a powerful connection between your diet and your risk of developing Alzheimer’s disease, via similar pathways that cause type 2 diabetes. Contrary to popular belief, your brain does not require glucose, and actually functions better burning alternative fuels, especially ketones, which your body makes in response to digesting healthy fats. According to some experts, such as Dr. Ron Rosedale, Alzheimer’s and other brain disorders may in large part be caused by the constant burning of glucose for fuel by your brain. Rob: Yea I recently heard something about Alzheimer’s being nicknamed Type 3 diabetes – what’s the connection with diabetes? Dr. Kevin: Yes it appears that there is a very important connection between our old friend sugar and dementia and specifically Alzheimer’s. Alzheimer’s disease was dubbed “type 3 diabetes” in 2005 when researchers discovered that in addition to your pancreas, your brain also produces insulin, and this brain insulin is necessary for the survival of brain cells. In your brain, insulin helps with neuron glucose-uptake and the regulation of neurotransmitters, such as acetylcholine, which are crucial for memory and learning. This is why reducing the level of insulin in your brain impairs your cognition. Research has also shown that type 2 diabetics lose more brain volume with age than expected—particularly gray matter. This kind of brain atrophy is yet another contributing factor for dementia. Studies have found that people with lower levels of insulin and insulin receptors in their brain often have Alzheimer’s disease. But according to recent research published in the journal Neurology, sugar and other carbohydrates can disrupt your brain function even if you’re not diabetic or have any signs of dementia. “Higher levels on both glucose measures were associated with worse memory, as well as a smaller hippocampus and compromised hippocampal structure. The findings suggest that even if you’re not diabetic or insulin resistant (and about 80 percent of Americans fall into the latter category), sugar consumption can still disrupt your memory. Long-term, it can contribute to the shrinking of your hippocampus, which is a hallmark symptom of Alzheimer’s disease. Neurologist Dr. David Perlmutter, MD insists that being very strict in limiting your consumption of sugar and non-vegetable carbs is one of THE most important steps you can take to prevent Alzheimer’s disease for this very reason. He cites research from the Mayo Clinic, which found that diets rich in carbohydrates are associated with an 89 percent increased risk for dementia. Meanwhile, high-fat diets are associated with a 44 percent reduced risk. Rob: Where does exercise come in to the formula for preventing Alzheimer’s and dementia? Dr. Kevin: Exercise encourages your brain to work at optimum capacity by stimulating nerve cells to multiply, strengthening their interconnections, and protecting them from damage. During exercise nerve cells release proteins known as neurotrophic factors. One in particular, called brain-derived neurotrophic factor (BDNF), triggers numerous other chemicals that promote neural health, and directly benefits cognitive functions, including learning. Rob: How about natural ways or suggestions to treat the disease if someone suspects they‘re heading down that path? This makes a strong case for ensuring your diet includes plenty of healthful B-vitamin sources, such as meat, poultry, eggs, and wild-caught fish. Leafy green vegetables, beans, and peas also provide some B vitamins, but if you eat an all vegetarian or vegan diet, vitamin B12 is one of the nutrients your body is most likely deficient in. Also, when you get older, the lining of your stomach gradually may lose its ability to produce hydrochloric acid and intrinsic factor, two substances that are essential in releasing vitamin B12 from your food and absorbing B12 through your small intestine. 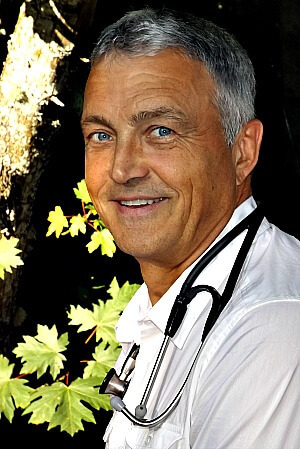 If you’re over 50, you may not be absorbing vitamin B12 at an optimal level and may be at risk of deficiency. Because vitamin B12 is the largest vitamin molecule known, it is not easily absorbed from most oral supplements. Injections or a sublingual (under your tongue) tablet or spray work far better, as they allow the large B12 molecule to be absorbed directly into your bloodstream. Rob: What about fish oils I hear they are great for brain function? Dr. Kevin: Yes a study called MIDAS (Memory Improvement with DHA) — enrolled older adults with normal age-related cognitive decline. Those who took 900 milligrams of DHA daily scored somewhat better on a computerized memory test than those receiving the placebo. Also coconut oil is being used to treat dementia. The active ingredient resides with caprylic acid, a fatty acid found in processed coconut oil. The human body breaks down caprylic acid into ketone bodies, a protein derived from caprylic acid. A similar protein is used in a medicine called Ketasyn. Research found that individuals who took Ketasyn had better memory performance and less cognitive decline. This research is still undergoing clinical trials. Meanwhile, some individuals are using coconut oil as a less expensive alternative to the medicines that contain Ketasyn.